The latest RBI Baseball 19 roster update has several new additions including rising stars Eloy Jimenez and Fernando Tatis, Jr. While we are just heading into Week 3 of the season, several other surprise players have received an early boost for their good play. Eloy Jimenez and Fernando Tatis, Jr. are rising stars in the game. Only time will tell if they actually pan-out as long-term great players. However, as of right now, these two are ready to make an early season impact. Jimenez recorded his first Major League hit on March 30th and his upside has RBI 19 starting him with some nice numbers. Our weekly roster update is live! Eloy Jimenez, Fernando Tatis Jr, Yusei Kikuchi are ready to make their R.B.I. Baseball 19 debut. Come check out our blog post to see our other new additions! A rising Contact number that is now set at 92 along with a 93 for Power, Jimenez has the potential to become one of the best left fielders in the game. By 2020 or 2021 he may be a household name in Chicago! The same can be said for San Diego’s Fernando Tatis, Jr. Considered the National League’s top prospect, Tatis, Jr. made his debut in 2019 for the Friars. Tatis, Jr. hit his first career home run this past Monday against the Arizona Diamondbacks. Leading the way in the trending upward category are some familiar names. Milwaukee’s Christian Yelich and Philadelphia’s Bryce Harper both got a boost in Power and Contact ratings. Two names that may surprise some gamers are Niko Goodrum and Matthew Boyd. The Detroit Tigers are off to a good start in 2019 and so are Goodrum and Boyd. Goodrum received a boost in Contact rating while the left handed throwing Boyd was bumped up in his Fast, Curve, Stamina and Speed Diff ratings. Boyd is well deserving of a major lift following his first two starts. The Tigers southpaw struck out 10 Blue Jays in just 5+ innings in his debut. He followed that up by setting a new personal career high for K’s in a start at 13 against the Yankees! Boyd’s four-seamer has shown increased velocity and improved command to start the 2019 season. 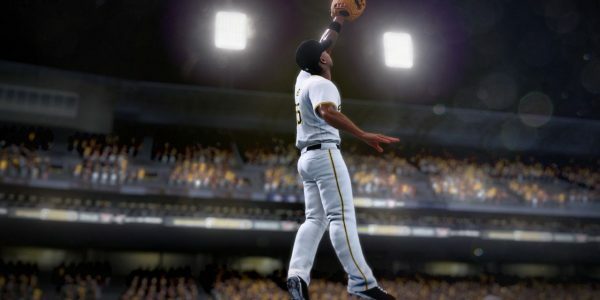 With the recent Webby Nomination and added changes to the game in 2019, RBI 19 is gaining some much deserved notoriety. Great job guys! Below is a complete list of the newest addition to the RBI Baseball 19 roster update. SD — Fernando Tatis Jr.